Children are the future and will be our decision makers in years to come and so they need to be encouraged to become involved in the welfare of our wildlife, in particular our birdlife and the protection and enhancement of habitats they require for their survival. 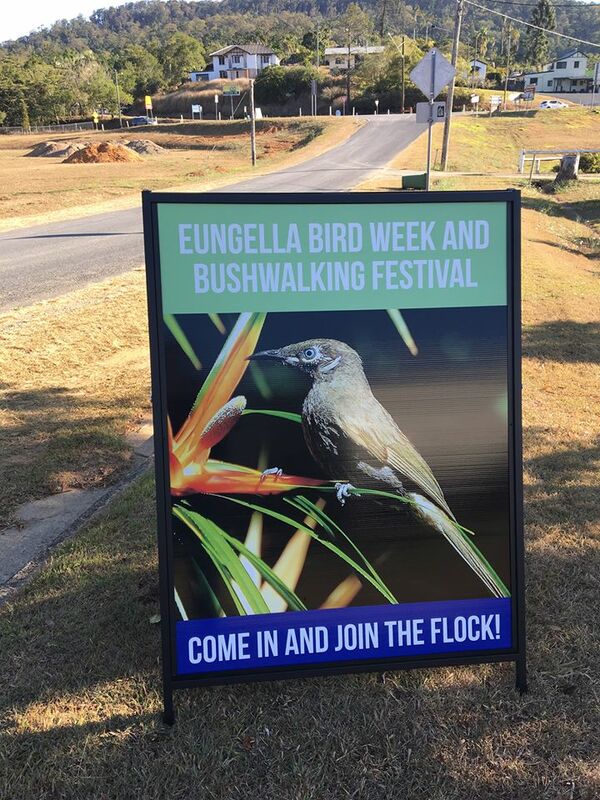 To engage all the kids of the four local state schools, Gargett, Pinnacle, Finch Hatton and Eungella schools, my suggestion was to get them to paint their favourite local bird and enter it into the Bird Week competition. Part of the winners prize that went to Kyle Lambert of the Eungella S.S. included a junior membership of Birdlife for one year. Participating in the inaugural Bushwalking & Bird Week at Eungella with Wildmob was a challenge for the club in 2017. Barry & Lesley Deacon, Graham Armstrong and I can be well proud of our efforts for the week, whilst also assisting were Jason Stanyer and Desley Williams. Another achievement by BirdLife Mackay this year has been the construction of six nest boxes designed to attract a variety of owl species, two have been fitted with cameras courtesy of Reef Catchments Mackay. Three of the boxes have been installed at this time.